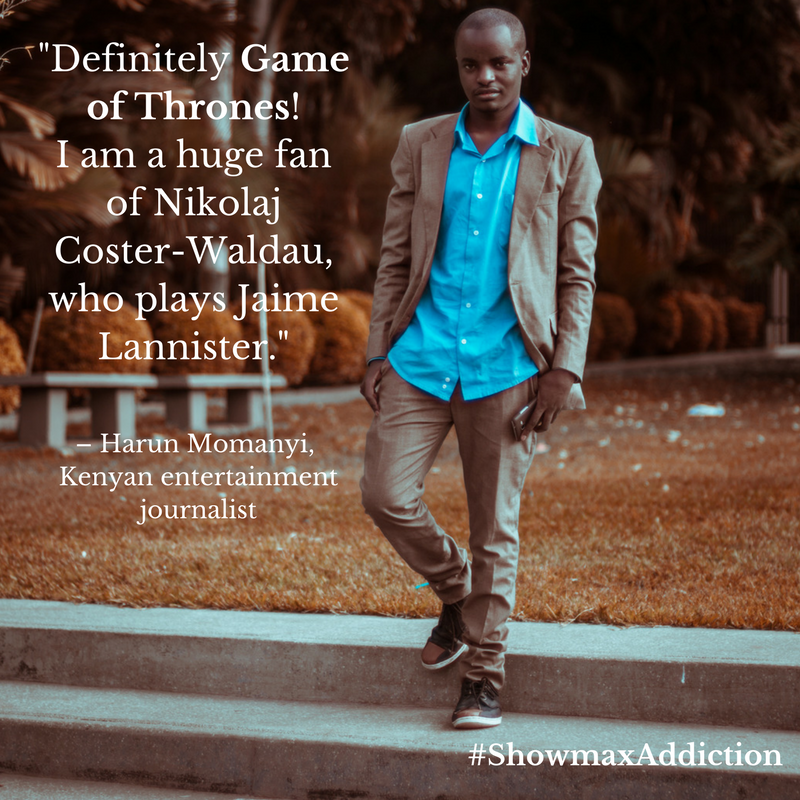 When he’s not running his travel blog, working as a content strategist, writing a novel, interviewing one of Hollywood or Kenya’s stars, or reporting on the hottest lifestyle and entertainment trends, busy all-rounder Harun Momanyi is in front of his screen, bingeing on his favourite movies and series. I am a lifestyle writer, novelist, travel enthusiast, movie lover, and luxury reviewer. I currently live in Nairobi, Kenya, where I work as a branded content strategist at a leading media house. What are you working on at the moment that you’re excited about? At the moment I am curating my travel blog www.wheretovacationnext.com. It’s my most ambitious project yet! I hope it takes me to places I never thought I’d go. I also just finished the Parsons x Teen Vogue fashion course and I plan to take on the fashion industry in the near future. What do you enjoy about entertainment and celebrity journalism? I love the fact that I can I get to interact with people I see on TV! Whether it is some late night chat with an actress or a Skype interview, it is always exciting. I also love the fact that I let my fans know their favourite stars at a very personal level. It has always been my dream to be a journalist: I am living my dream. What are you currently watching on Showmax? I am rewatching movies I grew up enjoying! I am a huge sci-fi fan, so when it comes to flicks like G.I Joe: Retaliation or the Transformers Collection, that’s my comfort zone. What classic series do you rewatch over and over, and why? Definitely Game of Thrones! I am a huge fan of Nikolaj Coster-Waldau, who plays Jaime Lannister. His onscreen character is totally moving and although it is controversial, he is a cool guy in person. I met him earlier this year when he was in Nairobi and that’s one of the most memorable moments in my journalism career. Who is your favourite Kenya actor and why? Lupita Nyong’o. I fell in love with her acting more in last year’s movie Queen of Katwe. She was absolutely brilliant. She is also a fashion influencer, a thing that is not easy to attain or maintain. Above all, she has put Kenyan talent on the global entertainment scene. I prefer movies more as I don’t have much time to watch! I have a lot of ongoing projects, so I’d rather finish off a movie and move on to the next. What is the best Kenyan series/movie on Showmax and why? It has to be Classmates. That is one of the funniest Kenyan shows ever. The simple concept, powerful delivery of the actors, their perfect accent mastery and funny themes are some of the things I love about the show. What do you like about internet TV? It’s the future of TV. I love streaming wherever I am – at a restaurant or on a road trip. As long as the connection is great, then I am good to go. It gives you freedom to watch whatever you want; unlike traditional TV that has set programmes. The fact that you can also watch on your smartphone makes it even better! I love versatility.